Rahul's Blog and collections: Is Book Reading Dying? The love for reading books is gradually dying and has sounded a death knoll for many a book stores across the country! Prominent book stores that once flourished and had steady clientele have steadily dwindled and some are on the brink of closure! The railway journeys were incomplete without books as companions from the Wheeler stalls! Most of us know of the reasons, namely the new alternatives now available in terms of the ever increasing reach of media, entertainment, reality shows, social networking sites and the boom of internet! Those who still love to read prefer to download the books in e-book format now on their ‘Kindle ‘devices and can read these at convenience. There is excitement which never seems to abate in today’s world, unlike in past where spicy stories came out only once in a while and life, otherwise moved at a slow pace! There was always enough time to listen to music or read books and magazines in a leisurely manner! One could choose the books of liking be it a romantic, adventure, horror or cult stories! These days the newspaper is always full of stories of intrigue, ransom, murder, mayhem, terror on almost every page! The same is true for media like TV where just by a flick of channel similar stories in more graphic details are available instantly! Why should one spend money or make an effort to walk to the bookstore to search for books! Block buster stories are available 24X7 on the go on smart phones too! If one is looking for quality reading then subscription to online magazines, is available at the fraction of cost of the print media! Unlike in past, most of the places of residence have shrunk. Also, with increased mobility, the storage space is depleted to an extent that keeping a personal library of books is tantamount to luxurious living! Children are very rarely told stories by parents at home due to pressure of time. 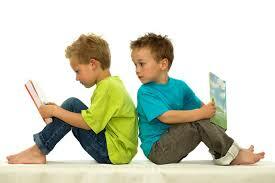 In most metro cities they are brought up in crèches, so how can they develop love for reading! They get hooked to video games at an early age even as toddlers. In many cases their love for instant gratification is best met by gaming devices as they grow up. The characters of Hanuman, Tenali Rama, Grimm’s Fairy tales, Charles Dickens, Perry Mason, James Bond, Sherlock, are now easier to watch than read! In a recent survey it came to light that most of the English teachers in schools do not know the spellings of some very simple words and the reasons for same do not need much explanation! The widespread use of abbreviated SMS language has eroded the culture of reading well written English, though thankfully most formal correspondence still requires use of grammar. Life is all set to change at a pace much beyond our imagination and even though there are many alternatives, the book reading will continue. The whiff of new pages in the book and glossy covers will continue to entice the new generation of readers! I wonder--at the last sentence.The sweet scent of a new book is appealing,but do kids have the time or the inclination for it? Of course the internet also provides a great opportunity for surf reading and acquiring profound knowledge.So spending time on the net is also tantamount to reading. Of course three drops in the ocean(us) does not make an ocean or one swallow a summer. We three may be part of a fast depleting group of focused.readers. Talk About the book srall at the railway station :) the habit is still There Rahul - kindle or paper ....reading is still reading right ? True. It has come down a lot. The current generation of school and college kids dont seem to be too fascinated by books because of the other forms of learning and entertainment. But I still prefer the oldschool way of reading from a book. Not too comfortable with Kindle! My railway journey never began without a book in hand. At the platform my eyes would look for the book store first and then the train. Kindle is gradually becoming a preferred choice but I am not yet into it. There is something about the hard copy that still pulls me to books. Oh yes, the whiff of new pages is enticing. I am a victim of mobility. I move a lot and hence I shifted to ebooks. I hate SMS language. No wonder even teachers can't get their spellings right. Even I am one of those, but in case I put the blame on autocorrect or MS Word. Technology has deteriorated the quality of life in this case. It is sad that more and more bookstores are closing down. It is true that e-books and TV and video games are the reason. But I remember reading a piece that said people are reading more these days thanks to e-books. I do believe a lot adults have gone back to reading because of these gadgets that facilitate reading, be it the e-readers or the ipads, even smartphones. Agree Divya. Readers seem to be on the rise due to ease and convenience of accessing books online ! Yes you must carefully watch out for your spellings as these cannot be corrected :) There is a glaring spelling error though. Read your comment carefully and you will find it ! "If the size of your television is bigger than your bookshelf then you don't qualify to speak.."
Lovely comparison , Monica:)Glad to see you bhack after a long time! Hope you are doing well!